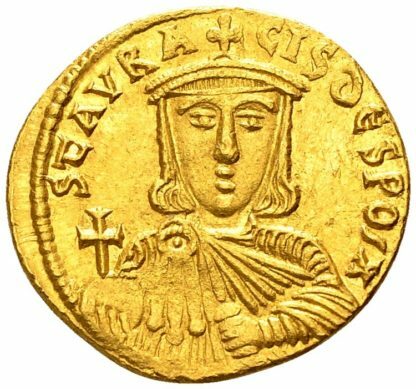 Constantinople,803 – 811 AD. AU solidus, 4,40 gr., 19.5 mm. 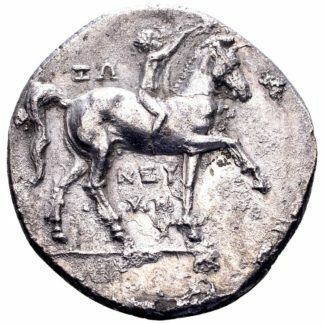 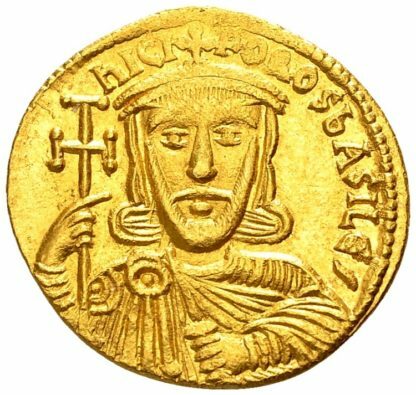 Obv: ·nICIFOROS bASILES; draped bust of Nikephoros I facing, with crown, cross and Akakia. 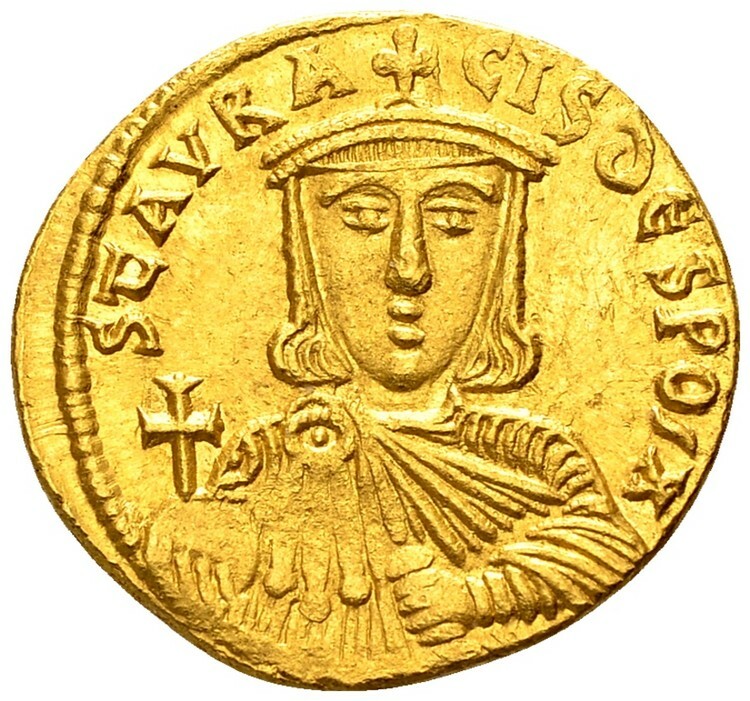 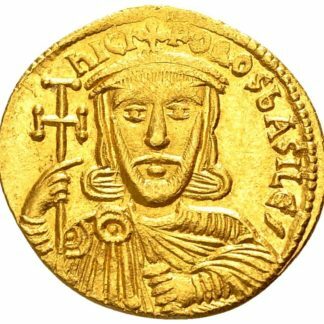 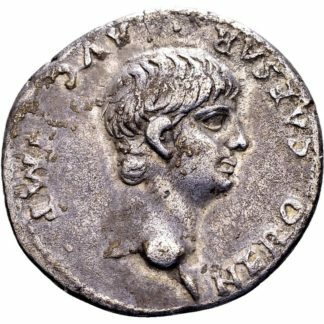 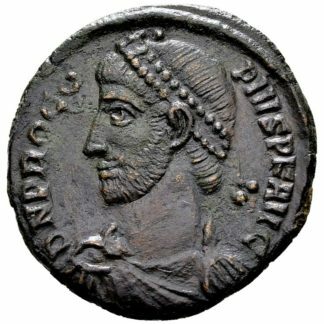 Rev: STAVRACIS dESPOS X; draped bust of Stauracius facing, with crown, globus cruciger and Akakia.